I grew up with a hairdryer which has only 1 button - On/Off. So this is a luxury! I usually use Thermoprotect and gentle airflow but the strong airflow is super awesome if you're in a hurry. I also use it for my doggies after their shower. The diffuser and concentrator already come in the box so you don't have to spend more money on them. Let's put it to the test on my hair! 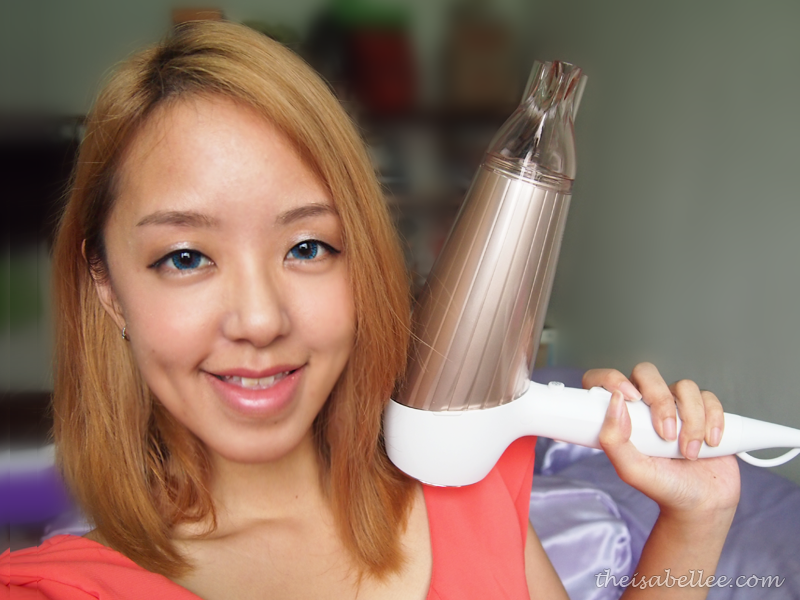 An attachment that diffuses air with 'fingers' to hold your hair in place. You can use this to create volume and enhance curls. You are recommended to use Thermoprotect and gentle airflow with this. Start from the roots with slow circular motions. 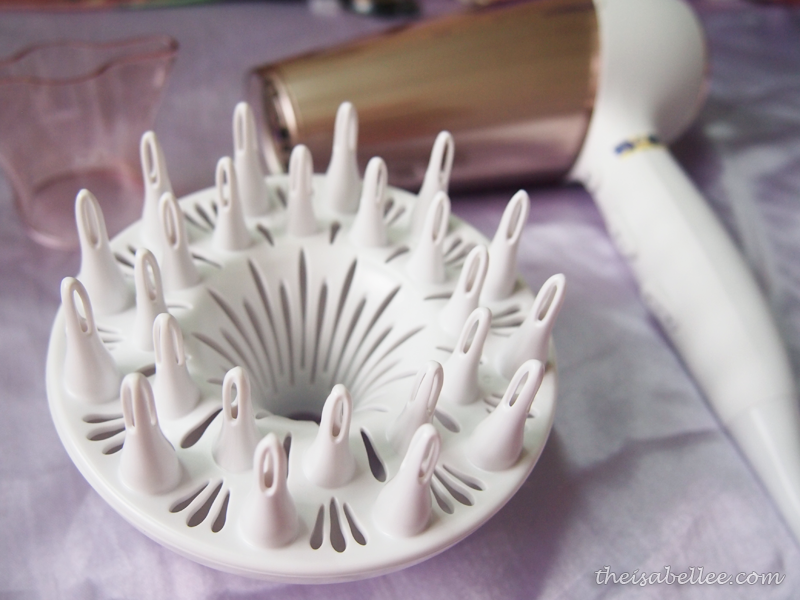 Lift up your hair with the diffuser to add body to limp hair. If you have big waves, curl your hair around the 'fingers' to make the waves more pronounced. 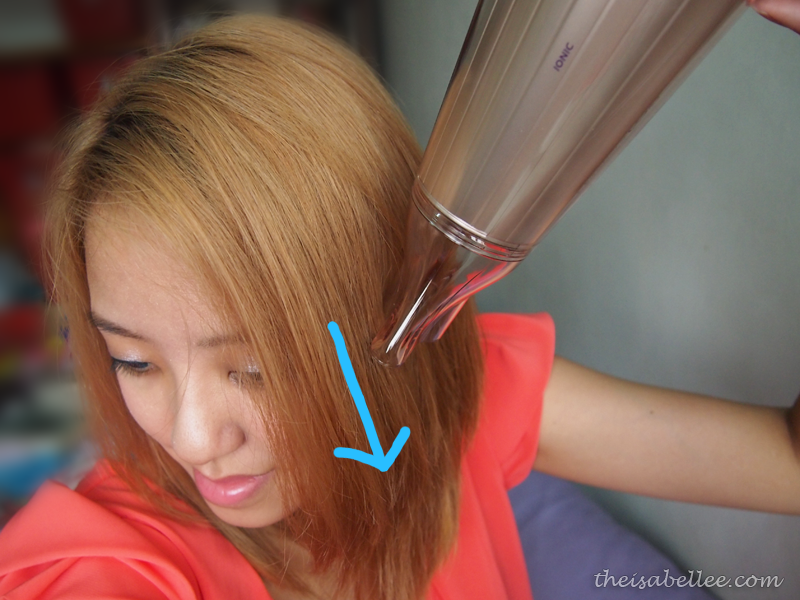 For small curls, simply scrunch up your hair from the bottom with the diffuser. Ta-da! 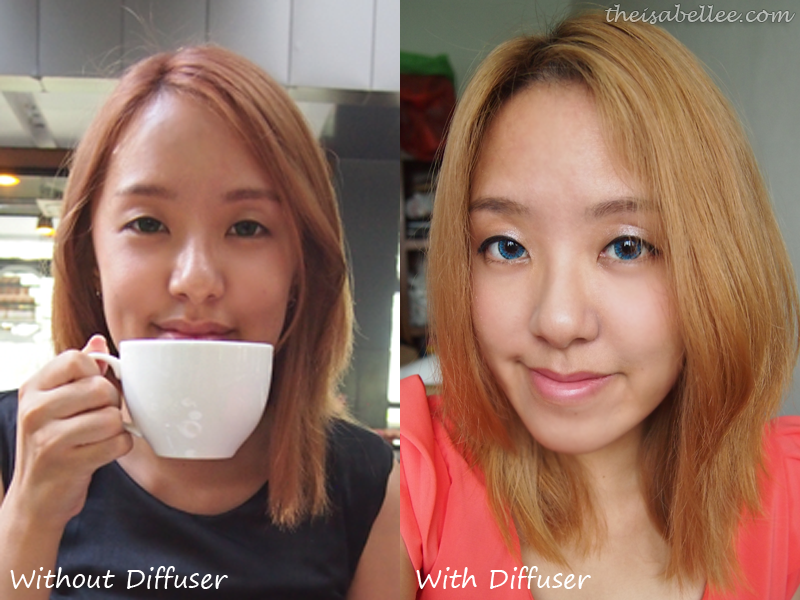 Here is the difference with and without a diffuser. I'm only using the diffuser on the top half as I don't have curls anymore. 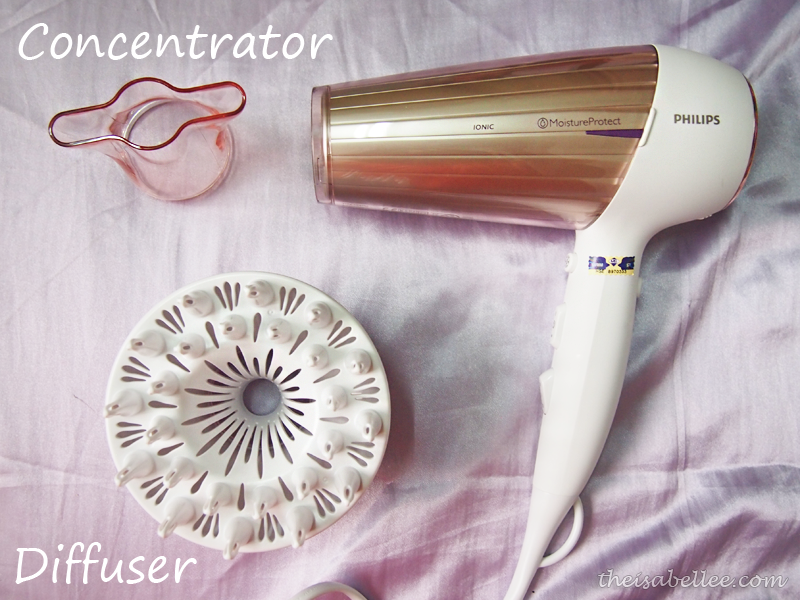 As opposed to the diffuser, the concentrator focuses the air into a narrow space for styling control and to give smooth, straight hair. 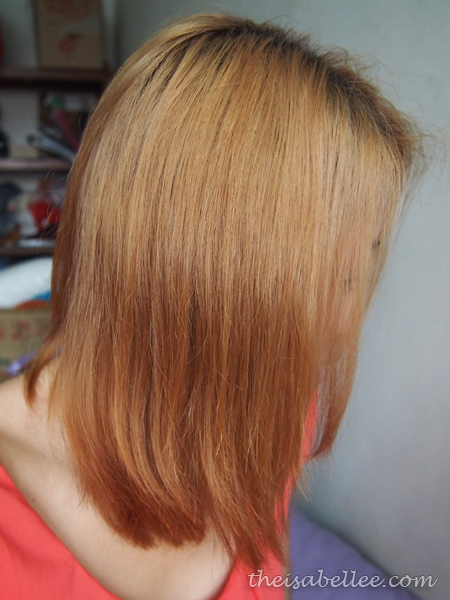 People usually sandwich the hair between the hairdryer and a round brush to get sleek hair but I use my fingers as I don't want to comb through my hair too much. Blow downwards to avoid flyaway. This hairdryer already comes with ionic care which IMO should be incorporated into every hairdryer. 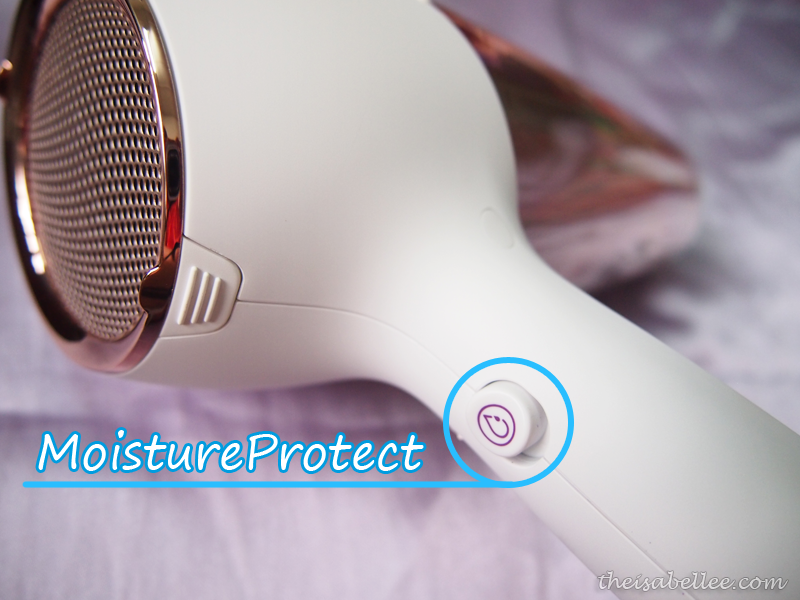 It prevents static for frizz-free shiny hair. If you're interested to find out more, this model is HP8280. More info on the Philips website or purchase it online for RM 269. Hi Isabel, thank you so much for the review. I now know this hair dryer a little bit more. However, you did not touch on styling the hair. I am asking because I like to blow my ends inwards as I have a big jaw line.I am contemplating buying this hair dryer. All seems perfect except for this one part. The styling. I suspect it does not style very well and that it is only good for drying the hair. Please comment and prove me wrong(?) Because I like this dryer. Hello there~ Sorry as I do not usually style my hair so I did not include it here. It is heavy? Do you have any idea about the weight? Thanks so much for sharing the info! My old hair dryer is out of order and I am looking for a new one. 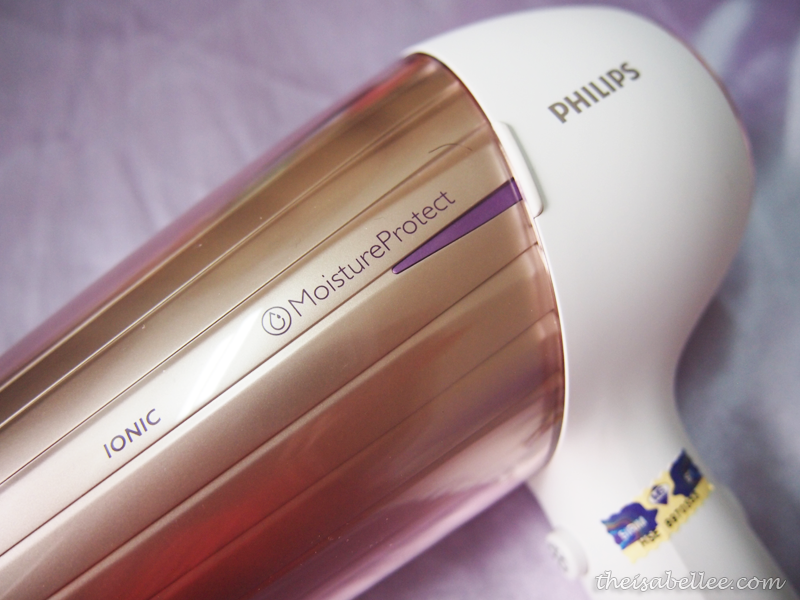 Definitely gonna check out this Philips hairdryer with moisture protect. Hi! Can you please tell me how the ionic button works? Do you have to press it or it's automatically included no matter what other settings you are using, how do you know if it's on or off haha? Thank you, very nice review! 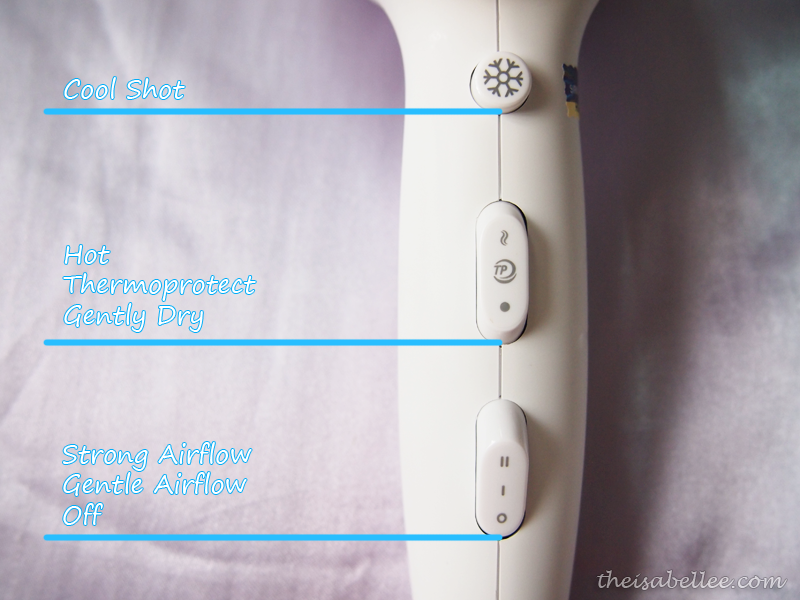 The Ionic Care is permanently on haha I believe most ionic hair dryers nowadays are built-in already and you do not have to switch it on. Thanks for sharing al info! 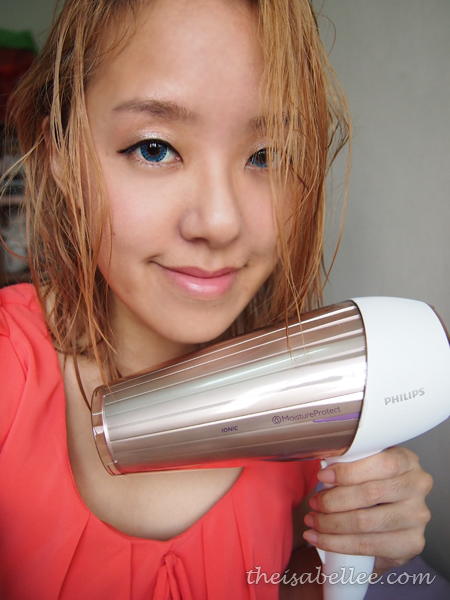 I love Philips products! 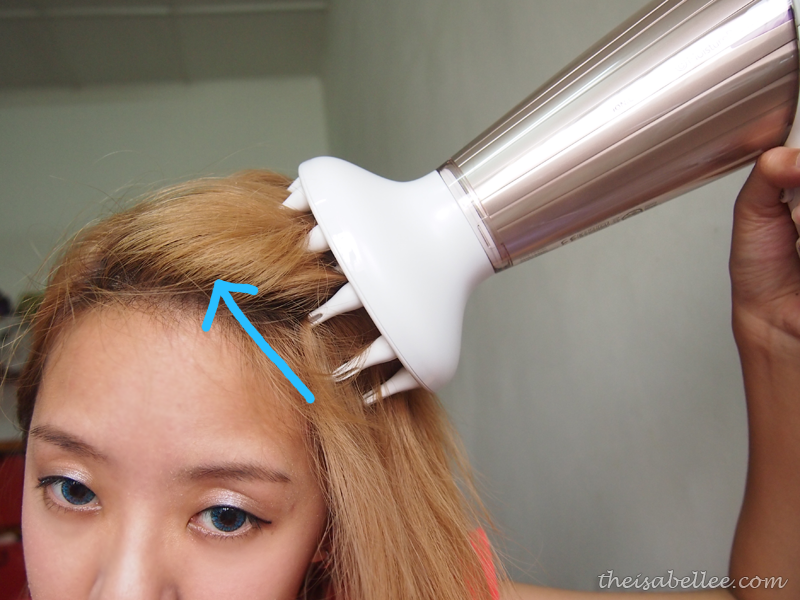 Do you have any tip to remove black marks on the white part of the hairdryer? So upset that it stains very easily. Other than this, I'm loving it.